Models: France has a tried and tested system of taxation of individual wealth at a progressive scale of rates from 0% to 1.8%, which is called the “Solidarity Tax on Wealth,” which provides a good working model for implementation in the USA. In 1999 Donald Trump proposed a one-off Wealth Tax of 14.25% on the net worth of individuals and trusts in excess of ten million dollars which was calculated to produce 5.7 Trillion dollars in new revenues. We’ve Got The Best Political System Money Can Buy! Radical Reform of Campaign and Political Contributions System and Restoration of Economic Democracy: Immediate repeal of Citizen’s United by appointment of Supreme Court justices committed to such or by Constitutional Amendment of broader scope, embracing comprehensive Campaign Reform by legislation or by Constitutional Amendment. As an Interim Measure: ALL TELEVISION AND MEDIA PROVIDERS SHOULD BE REQUIRED TO PROVIDE FREE MEDIA TIME TO CANDIDATES, STATE, LOCAL AND NATIONAL AS A CONDITION OF THEIR LICENSURE DURING ELECTIONS AND EQUAL TIME TO ALL. COMPENSATION, IF NEEDED CONSTITUTIONALY, SHOULD BE MADE FROM THE PUBLIC TREASURY. THIS OBVIATES THE NEED FOR 90% OF CORRUPT CONTRIBUTIONS, EVEN IF COMPREHENSIVE CAMPAIGN REFORM LAWS ARE BLOCKED. 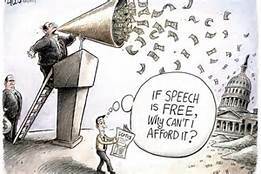 The present corrupted system of political financial contributions by financial interests has become toxic and deadly. It is not an exaggeration to say that present laws have substantially lost legitimacy as they are not the result of the will of the people but of legalized corruption financed by the 1%, calling into question the duty of the 99% to obey or respect them. All laws and public decisions are essentially corrupted by the illegitimate political power of the 1% to maldistribute social resources to the disadvantage of the 99%, especially its lower third. To democratically re-legitimize the governmental system it is necessary to enact immediate campaign contribution reform or move to a fully publically financed system in which private political contributions are made illegal or restricted. We need to move from the “One Buck One Vote” system of the present back to a “One Person One Vote” democratic system. Economic Democracy is only sustainable after the financial corruption of the political system has been thoroughly cleansed. Strict Regulation of Dangerous, Predatory and Irresponsible Financial Practices/Breakup of Banks Too Big to Fail/Glass-Steagel Firewalls: We demand further and stricter regulation of dangerous financial practices beyond Dodd-Frank such as credit-default swaps, derivatives, predatory mortgages, and associated abuses which caused the still-unresolved World Financial Crisis. We demand prosecution of the principal abusers. When unresolved by regulation, if necessary, weaknesses and abuse in the financial sector may be addressed by nationalization in the public interest. Banks too big to fail should be broken up where they pose systemic risk to the financial system. Make the Banks Pay Their Fair Share! Implement Financial Transactions Tax To Pay For Free Public University Education for All Qualified: We call for the immediate imposition of a transactions tax on all purchases and sales of stocks, bonds, equities, financial derivatives, and especially on speculative and dangerous transactions such as credit-default swaps at the heart of the World Financial Crisis. The 1% should be required to pay at least 1% for all such financial transactions. John Maynard Keynes proposed implementation of such a system following the 1929 Crash and Depression to curb disastrous speculation. Models: Britain has had a Stamp Tax on financial transactions since 1694 on the London Stock Exchange and Sweden has a comprehensive 0.5% tax on equity securities and financial derivatives, with like legislation in Brazil and Peru. Implement Tobin Tax or Tax on Foreign Exchange Transactions: With Globalization the international half of the economy must begin to pay its fair share of taxes, including those for the use of money abroad. Nobel Prize Laureate James Tobin proposed a tax on all spot conversions of one currency into another as a means of dampening speculation and “hot money,” In the post-Globalization era this has also been seen as a means of extending the fiscal tax base catchment area into the extra-national realm of the internationalized economy to generate resources for management of the abusive externalities of an irresponsible run-away global financial economy. The Tobin Tax of 0.5% to 1% should be levied on all conversions of one currency to another with the proceeds divided three ways: one-third to the nation of each currency and one-third to the United Nations and World Bank for purposes of global governance, international Keynesian fiscal stimulus and attainment of the Millennium 2000 goals. The division of the proceeds could also be divided on the basis of relative unemployment rates of the two nations or GDP per head. At present only international banks derive income from foreign exchange conversion, a privatized tax going to capital owners. 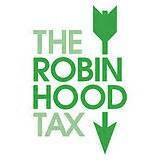 The proceeds of the Tobin Tax should be used to COMPENSATE THOSE ADVERSELY AFFECTED BY GLOBALIZATION, including the long-term unemployed, underclasses, those in need of vocational re-training, relocation, and income guarantees or minimum income guarantees under a Social Safety Net or Social Contract. Implement Excise and Luxury Taxes on Luxury Goods and Property for Duration of Financial Crisis: During the time of Global Economic Crisis and mass unemployment, just as in times of war and national emergency, the 1% wealth owners should be required to make sacrifices proportionate to their means for the common good. All luxury items, especially Veblenesque goods designed to confer social status, including luxury cars and homes, luxury fashion goods and luxury services more than 100% in excess of the mean for common goods and unrelated to real needs should be heavily taxed for the benefit of the common good and to stimulate consumption by those in need. Even in the “Monopoly” game those who live on “Park Place,” “Get Out of Jail Free” and “Advance to Go” must take their turn at paying Luxury Tax. 7. Progressive Income Tax Reform: Comprehensive reform of the existing Income Tax system must be undertaken to make it more progressive and reduce tax on the lower brackets and surcharging the upper brackets while protecting the middle-class and providing incentives for true entrepreneurship and job creation. Tax rates on the upper brackets should at least be reinstated to their pre-1980 levels. Faux deficits artificially created by lowering upper-bracket taxes and engaging in irresponsible and wasteful wars, followed by predatory demands for budget spending reductions, the favorite tactic of predatory capital, should be eliminated. Negative Income Tax, conditional on participation in retraining, education or public service work should provide a Social Safety Net for all persons. Unearned income from financial speculation or passive capital gains unrelated to innovation and growth in the real economy should be heavily taxed for the common good. The true creative capacity of the “free enterprise” system should be rewarded, nurtured and protected, whereas the unearned income from the parasitical and exploitative abuse of the real economy by the predatory financial economy should be severely restrained and taxed. Wherever possible the tax base should be shifted from income tax to wealth tax, and from payroll tax to progressive income tax and on to wealth tax. Regressive taxes, such as sales tax on necessities, payroll tax and others should be replaced or supplemented by progressive taxes on wealth and income. 8. Inheritance, Estate and Trust Tax Reform: Inheritance, Estate and Trust Taxes should be radically increased for all estates above 10 million dollars as part of a wealth taxation program for the common good. Even Bill Gates and Warren Buffet do not leave their billions to their own children above a fair amount, and inherited wealth is the archetypal form of arbitrary, unfair and unearned misdistribution of wealth. Along with Gates and Buffet we believe the spoiled children of the wealthy elite should become entrepreneurial if they want to enjoy wealth, rather than taking a free ride on the gravy train. Evasions of Inheritance and Estate tax by abuse of trusts should also be eliminated and subject to recapture, unless true transfer beyond the control of the wealth holder occurs and the trust is monitored to make sure that decisions are in the interest of the beneficiaries and the public instead of a masked manipulation for the benefit of the wealth holder. 9. Rebalancing Economic Globalization with a Global Green New Deal and Further Evolution of International Institutions and Global Governance Commensurate to the Newly Globalized World Economy: Much of the World Economic Crisis is the result of dangerously imbalanced Globalization in which limited nation-state economic institutions have not evolved to meet the realities of a globalized economy, creating dangerous and unsustainable global economic imbalances. Emergence from the Great Depression of the 1930’s required not just government action but also the empowerment of labor unions, civil society, Social Security and the Social Safety Net, Keynesian economic management, and the Social Contract and other checks and balances to the predatory and irresponsible power of financial capital. Globalization has eroded this balance of power, weakening the power of the nation-state, labor unions and civil society and thrusting us back to 1929 era stone-age predatory capitalism. If it is impossible to go back to the pre-Globalized world order with its national checks and balances against predatory capital, then it is necessary to move forward to a new globalized system of checks and balances on an internationalized basis of global governance. The Global Green New Deal seeks to evolve new internationalized institutions of global governance that can be socially, economically and environmentally sustainable, recasting the Social Contract and Social Safety Net in a new manner commensurate with the realities of a globalized economy. It is not anti-Globalization per se, but seeks a rebalanced Globalization with new and effective checks and balances against irresponsible and predatory international financial capital, through extension of global democracy, global governance and economic democracy. 10. Globalization of Labor Unions and Collective Bargaining Initiative: We demand immediate amendment of Labor Law requiring multinationals to undertake globalized collective bargaining in good faith with unions representing all their international subsidiaries and affiliates and manufacturing sub-contractors. A key cause of the financial crisis in the stagnation of wage rates in the US and the EU, caused in principal part by the breaking of unions and de-unionization of the economy since WWII, of which imbalanced globalization is a key cause. Union Density rates have fallen to below 9% in the private sector in the US, rates of union membership not seen since 1929. Union power to collectively bargain on behalf of workers in the globalized sectors and services sectors is a necessary check and balance on predatory capital. Income maldistribution cannot be corrected only by governmental action but other forces such as labor unions and civil society and consumer and environmental activism must serve as additional checks and balances to irresponsible and predatory financial capital. The World Financial Crisis began with the Subprime Mortgage crisis, but this was caused primarily not by people buying homes beyond reasonable means, but rather by the failure of per capita earned income to increase for over thirty years. The housing crisis is really a household income crisis, and recovery in the US, the EU and beyond cannot occur until substantial sustainable increases in worker compensation and household income occur. 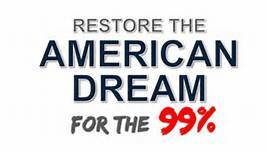 Unions must be restored as a necessary non-governmental check and balance against the abuses of predatory capital. To do so Collective Bargaining and enterprise unionization must be Globalized. Collective Bargaining and Labor Standards must be included as key component of TPP and all future multinational trade agreements, and domestically a new initiative must be undertaken to Re-Unionize the Economy of the USA, both within the Private and Public Sectors and within the now dominant Service Sector, Internet Sector and “Gig” and Adjunct Sectors. Part-Time Workers must be given Proportionaity, or Access to Benefits on a Proportional Basis As Full-Time Workers, so that Employers such as Wal-Mart cannot deprive workers of benefits by the fiction of limiting their hours to 32 or 36 hours. By Law they should be forced to provide a proportional contribution to the Part-Time worker’s Health and Pension benefits on the same basis as the Full-Time Worker, regardless of hours worked. Multinationals as a condition of their goods being traded internationally must allow Global Unions in which all the workers of all of their international subsidiaries belong to a single union or alliance of unions and enterprises must have a legal duty to bargain in good faith globally with the united representatives of the unions of all their subsidiaries. Collective bargaining must be globalized to raise compensation both in the developed nations and in the developing and emerging economies. Only this will provide sustainable circulation of purchasing power to support sustainable economic recovery. Such a requirement should be made a mandatory condition of the WTO rules and supervised by a beefed up ILO. Multinationals with programs of union-busting or bad faith failure to engage in Globalized Collective bargaining should have their products banned from international trade. Unions must immediately undertake to organize all the workers of all the global subsidiaries of their companies and sectors in all nations in which they operate into a single collective bargaining unit, moving beyond the nation-based union model of the past. Raising the wages of workers in emerging economies through global collective bargaining is critical in boosting their purchasing power for American and EU goods and services. 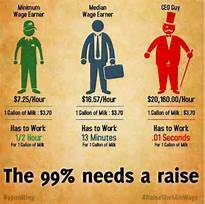 The 99% Needs A Raise! 11. Conversion of Financial Capital into Human Capital—-Globalization No Worker Left Behind Initiative—$15 p/hr Fed. Minimum Wage & the 25 Million Futures Initiative: In education we have embraced the “No Child Left Behind” concept. In economic globalization we must embrace the “No Worker Left Behind” concept in response to Globalization and it economic restructuring. The financial resources generated by the Wealth Tax and the above tax initiatives should be utilized to provide a CONDITIONAL GUARANTEED MINIMUM INCOME through a negative income tax or other means. 25 Million Persons should be given subsidized living allowances and educational and retraining allowances continuing during their participation in retraining and rehabilitation, further education or public service and environmental work. The concept of any able person being “unemployed” should be decisively and permanently eliminated. If any person is not traditionally employed in the private or public sectors that person and his or her family should be given a guaranteed minimum income, conditional on their daily participation in further education, retraining or continuing daily public interest and environmental employment. All able persons shall be either employed full-time in work or full-time in education, retraining or preparation for work and guaranteed a survival income via the Social Safety Net as a condition of the Social Contract. The above taxes should provide for the radical expansion of the human resources and educational infrastructure to permanently absorb the displaced worker population, with the goal of returning them to the labor marketplace with greater productivity skills on economic recovery. The Tobin Tax on Foreign Currency Exchange shall be used to finance such measures. 12. Implementation of Labor and Environmental Protection Requirements at the WTO: We demand the incorporation of Global Collective Bargaining and Environmental Standards, certified by ISO type inspection and verification as a mandatory condition of the WTO and trade of goods in the international marketplace. 13. Partial Shift of Social Security Funding from Regressive and Demographically Unsustainable Payroll Taxes to Financial and Wealth Based Taxes: The partial unsustainability of the Social Security system results from its outmoded tax base. Reliance on payroll taxes, while having some advantage in insuring the contractual inviolability and apparent fairness of the system, is unnecessarily regressive and demographically unsustainable. There is no reason why only workers and employers pay for retirement benefits of those who have sustained the economy over their lifetimes while the financial sector pays nothing. The financial sector has grown at near-cancerous rates and makes no contribution to Social Security while the ever lessening number of active workers is called on to shoulder the burden of supporting the old and infirm. The Wealth Tax and revitalized Progressive Income Tax should partially replace and reduce the payroll tax system to reflect the demographic changes and growth of the financial sector as a percentage of GDP from the initiation of the Social Security system in the 1930’s. The Tax Base reflecting Globalization, namely the Tobin Tax on Foreign Currency Exchanges and the Financial Transactions Tax on both Domestic and Foreign enterprises traded on our capital markets should let the burden of retirement be equally shared by the globalized and internationalized sectors of the economy which have taken so much profit from the work of the workers over their lifetimes. 14. 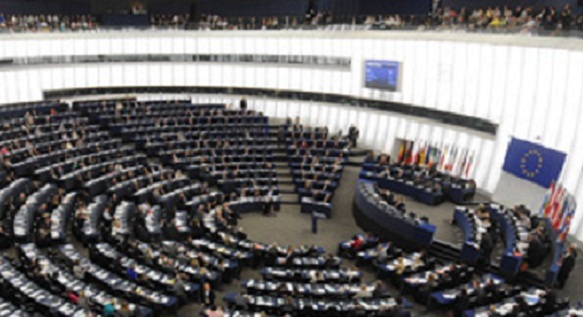 Implementation of a United Nations Parliamentary Assembly within the United Nations: We demand the Creation of a United Nations Parliamentary Assembly, based on the successful model of the EU European Parliament as a new third organ of the United Nations alongside the Security Council and the General Assembly for Global Democracy in Global Governance, as was proposed by UN former Secretary-General Boutros Boutros-Ghali, as a Plank in the National Democratic Platform of 2016. The Occupy Wall Street movement as well as the Bernie Sanders “Economic Democracy Political Revolution” or “Democratic Socialism Political Revolution” should immediately march on the United Nations in New York and demand the adoption by the General Assembly of a United Nations Parliamentary Assembly, which is a proposal for the creation of a European Parliament-style international consultative assembly as a permanent organ of the United Nations alongside the Security Council and General Assembly. Article 22 of the UN charter allows the General Assembly to do so by a majority vote not subject to great power veto. Economic Democracy in the era of a globalized economy requires the extension of democratic processes to the system of global governance and the progressive evolution of international institutions such as the United Nations commensurate with the problems of the newly globalized economy and the globalization of all aspects of human life and of the environment. Eliminating the democratic deficit in our global international institutions will also help to address the maldistribution of wealth and income nationally and internationally. Modernly, almost all problems have become globalized and are beyond the power of single nation-states to solve on behalf of their peoples, from the World Economic Crisis, to Global Warming, terrorism, drugs and epidemics. The institutions of global governance must evolve commensurately, and as they evolve democratic checks and balances must evolve along with them. See: http://en.unpacampaign.org/index.php for more details. 15. Globalization of Corporate Tax, Ending of Corporate Inversions, and Outsourcing Readjustment Tax: Run-away irresponsible capital takes all the resources of domestic enterprise and discards the workers, replacing them with cheaper foreign labor and operating through international subsidiaries and affiliates and expropriating existing workers and stakeholders of their stakeholder equity. To better balance the advantages and burdens of globalization and to preserve the earnings of the global entity within the catchment area of national taxation the Corporate Tax should be levied on global earnings of all subsidiaries and affiliates. Payments for Outsourcing and import substitution should be subject to a Restructuring Tax sufficient to support the retraining of displaced workers and in transition to new employment, and to deal with the uncompensated externalities of such practices, though such taxes should not be abused to the degree to amount to absolute or unjustifiable protectionism. Abuse of H1B Visas to improperly replace qualified American workers and defraud immigrants with fraudulently low wages must be stopped and abusers must be prosecuted. Hoardes of offshore capital and earnings of US companies must be taxed on an equal basis with domestic earnings regardless of shells or subsidiaries. Tax avoidance shells and schemes must be exposed and broken to assure the predatory 1% does not avoid paying its fair share through cheap tricks of Caymen incorporations, inversions and other quasi-criminal schemes and elitist conspiracies against the public. 16. Shift of Keynesian Fiscal Stimulus and Public Debt from Sovereign National Debt to Internationalized Systems such as Eurobonds in the EU, G20 Initiatives and World Bank Instruments such as SDR WorldBonds: The principal reason for Sovereign Debt crises around the world is the necessity of fiscal deficits financed by borrowing as a means of stimulating growth of any economy in recession associated with John Maynard Keynes. However, we live in a globalized economy and where EU nations or the US or other nations borrow and run deficits much of the growth stimulated is in other export-oriented nations rather than in the catchment basin of the national tax systems used to finance this Keynesian debt. This is the root of the EU Sovereign Debt Crisis and much of the US fiscal deficit. When no domestic growth results, the stimulating nation is left with the complete debt but the GDP growth is unsustainably outside its tax revenue catchment area. Thus, much of the World Economic Crisis is the result of dangerously imbalanced Globalization in which limited nation-state economic institutions have not evolved to meet the realities of a globalized economy. 17. Further Evolution of the “Occupy Movement “into the “Bernie Revolution” then into “Sustainable Economic Democracy” : Previosly to date the “Occupy” program has attained immense success in conscious building amid mobilizing human resources around the world to fight economic injustice and exploitation of the 99% by the 1% and fostering communication regarding the plight of the victims of the World Economic Crisis. 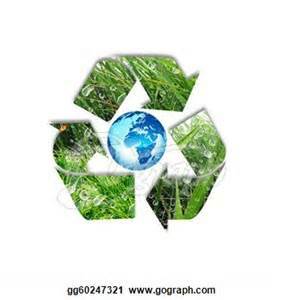 As time goes on, however, the movement must evolve and mature, transitioning from consciousness raising to an action program, or interest and support will likely evaporate or be wasted. This evolution should result from open and democratic deliberation and debate, inclusive of both on-site activists and Internet-based contributors. To evolve beyond the “Primal Scream” of injustice cited by Al Gore towards solutions to the systemic problems requires first a process of analysis and possible solution design, then consciousness raising and support-building in aid of the proposals, followed by political struggle within the democratic processes and resistance to illegitimate suppression by either governments or opponents. To these ends the “Occupy” sites should evolve from protest encampments to staging areas for political organization, and then to mobilization centers for mass action. Analysis needs to be made, values and goals agreed upon, demands made as a tool for mobilizing support, and then concerted and sustained pressuring and lobbying of governments needs to be undertaken and completed, using bottom-up support as a vital base of action. To date the “Bernie Revolution” has taken the “Occupy Movement” to Stage Two of its process of maturation, giving it a focus on real world politics and real world policy goals to strive for. 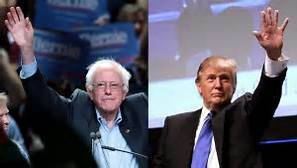 Seemingly out of nowhere he has achieved the seemingly impossible, bringing “democratic socialism’ to center stage as a major alternative in presidential and major party politics. As we have observed before, however, this is less miraculous than it seems, as more than half of the American middle and working class feels it is in danger of permanently losing its economic position, security and that which is commonly referred to as “The American Dream.” It is in this context that there is a great flexibility in examining new alternatives, rationally and emotionally, both of the left and the right, as there was in the 1920’s. It is not to be expected that existing power-holders will voluntarily adopt these proposals, and many of them will be met either with overt or covert hostility, or with ridicule, incomprehension or resistance. Therefore, consciousness raising and conceptual development must continue apace, and most likely within the democratic nations the electoral process must be entered into, endorsing candidates in sympathy, opposing opponents and rallying support until the composition of the legislatures and governments has changed to support these concepts. Strategies of political action will have to be worked out, including all options such as endorsement and support or opposition of existing political leaders, entering candidates in primaries of existing parties based around these principles, or formation of new political parties. 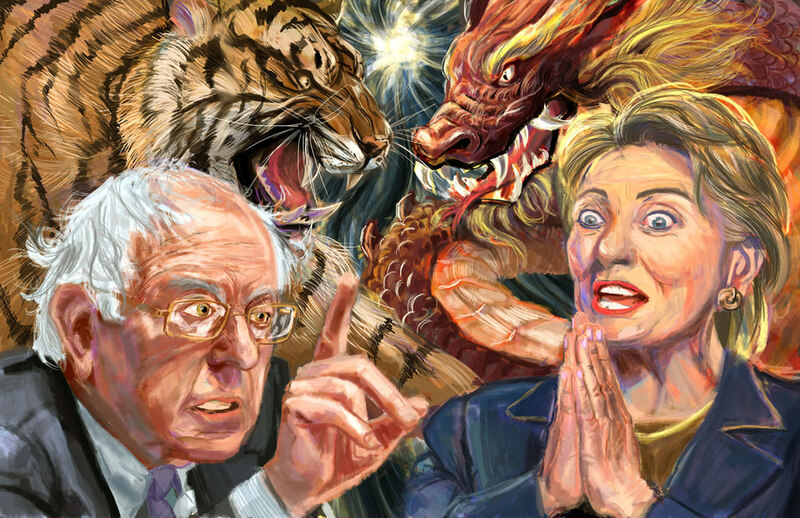 In the long run, the Occupy Wall Street movement reincarnated at the Bernie Revolution will fail, unless it reaches out within the electoral process and entrenches its true believers at the local, state and federal levels in the councils, statehouses, Congress and Party positions beyond the high-prestige Presidential race, and furthermore mobilizes workers in the workplace, through established labor unions and newer unions and workers associations, and also the churches, that traditional alternative seat of conscience and consciousness independent of the state and the corporate economy. It must reach beyond its initial base of disaffected intellectuals, students, the unemployed and the underclass, and rally to its cause the broad working class, the “Senior Citizens,” AARP, endangered lower middle class and the progressive and mainstream wings of the religious community. Corporations must be occupied, but not from the outside by protesters, but rather from the inside by resurgent and revitalized unions ready to both strike and to demand co-determination of company decisions vital to their interests and survival, as in the German model of “Co-Determination” Union representation on the Boards of Directors of every corporation by law. And the union action must be global and not just national. In all of this it must be remembered that we live in a globalized economy within a globalized world, however much some candidates might fantasize about “building walls” around their countries, and the solutions must be found in close cooperation with all the other nations on earth. Therefore we must intensify our fight for the rights and security of the American middle and working class across the world, not withdraw from it or from the world economy. 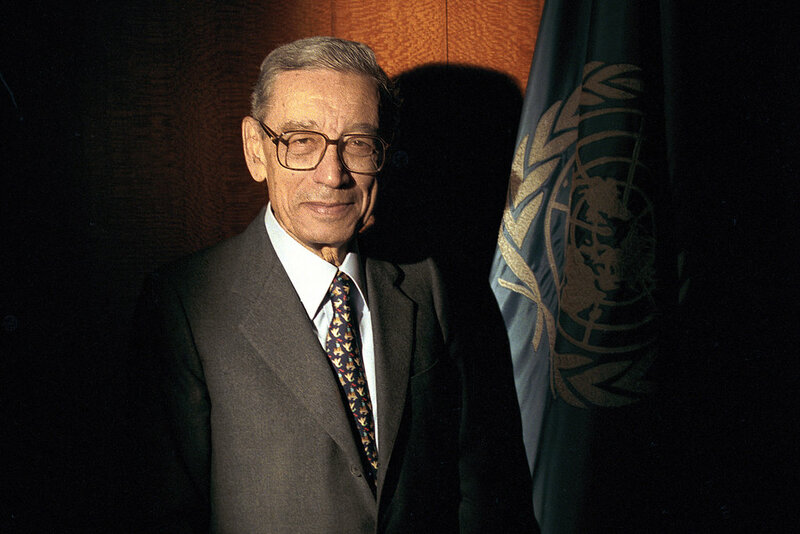 To that end we must find better international trade arrangements not simply withdraw into a pretended “Fortress Amerika.” To that end also we must strengthen the international order, including creating and entering the United Nations Parliamentary Assembly within the United Nations dreamed of by Secretary-General Boutros Boutros-Ghali prior to his death in February. Preference must always be given to peaceful, rational and democratic processes of change where appropriate. In case of illegitimate, violent, unlawful and unjustifiable government repression, the right of the people to resist by other means is enshrined in the American Declaration of Independence, the American Constitution and its Bill of Rights, and the French and UN Declarations of the Universal Rights of Man. WILL WWIII RESULT FROM A RUSSIAN INVASION OF THE UKRAINE OR A JOINT RUSSIAN-IRANIAN-CHINA SNEAK ATTACK ON THE MIDDLE-EAST OIL RESERVES?——MI6′S NEW SUPERSPY ETIENNE DEARLOVE IS THE NEW JAMES BOND!——-FREE!——-GET THE SNOWDEN-CLANCY-ORWELLIAN CYBERSPY THRILLER NOVEL THAT DEFINES OUR ERA!—-NSA/CIA/MI6/WWIII CYBERTHRILLER EPIC SPIRITUS MUNDI BY ROBERT SHEPPARD FREE TO YOU DURING THE PUSHCART PRIZE GIVEAWAY CELEBRATION! Robert Sheppard , Author, Poet & Novelist Pushcart Prize fof Literature 2014 Nominee Professor of World and Comparative Literature Professor of International Law Senior Associate, Committee for a Democratic United Nations (KDUN) E-mail: rsheppard99_2000@yahoo.com Robert Sheppard is the author of the acclaimed dual novel Spiritus Mundi, nominated for the prestigious 2014 Pushcart Prize for Literature in two parts, Spiritus Mundi the Novel, Book I and Spiritus Mundi the Romance, Book II. The acclaimed “global novel” features espionage-terror-political-religious-thriller action criss-crossing the contemporary world involving MI6, the CIA and Chinese MSS Intelligence as well as a "People Power" campaign to establish a United Nations Parliamentary Assembly on the model of the European Parliament, with action moving from Beijing to London to Washington, Mexico City and Jerusalem while presenting a vast panorama of the contemporary international world, including compelling action and surreal adventures. It also contains the unfolding sexual, romantic and family relationships of many of its principal and secondary characters, and a significant dimension of spiritual searching through "The Varieties of Religious Experience." It contains also significant discussions of World Literature, including Chinese, Indian, Western and American literature, and like Joyce's Ulysses, it incorposates a vast array of stylistic approaches as the story unfolds. Dr. Sheppard presently serves as a Professor of International Law and World Literature at Peking University, Northeastern University and the State Intellectual Property Office (SIPO) of China, and has previously served as a Professor of International Law and MBA professor at Tsinghua University, Renmin People’s University, the China University of Politics and Law and at the Law Institute of the Chinese Academy of Social Sciences (CASS) in Beijing, China. Having studied Law, Comparative Literature and politics at the University of California, Berkeley (Ph. D.Program in Comparative Literature), Northridge, Tübingen, Heidelberg, the People’s College and San Francisco, (BA, MA, JD), he additionally has been active as professor of International Trade, Private International Law, and Public International Law from 1993 to 1998 at Xiamen University, Beijing Foreign Studies University, the Chinese Academy of Social Sciences Graduate School (CASS), and the China University of Political Science and Law in Beijing. Since 2000 he has served as a Senior Consultant to the United Nations Industrial Development Organization (UNIDO) in Beijing and has authored numerous papers on the democratic reform of the United Nations system. This entry was posted in Uncategorized and tagged #Agenda2020, #Agenda2020Manifesto, 2016 Campaign Platform Bernie Sanders, 2016 Campaign Policy Platform Progressive Candidates 2016, 2016 Election Platform, Agenda 2020, Agenda 2020 Manifesto, Agenda 2020 Manifesto by Robert Sheppard, Agenda 2020 Manifesto for 2016 Democratic Presidential Campaign Platform, American Dream, Bernie Sanders Campaign Platform, Bernie Sanders Platform 2016, Bernie Sanders Policy Papers, Bernie Sanders Policy Positions, Bernie Sanders Tax Policy, Boutros Boutros-Ghali, Campaign Reform, Death of the American Dream, Death of Unionism, Decline of Union Movement, Democratic Campaign Platform Endorses United Nations Parliamentary Assembly, Democratic Platform 2016, EU Endorses UN Parliamentary Assembly, Financial Transactions Tax, Free Television for Campaign 'Candidates, Free University Education, Globalization, Hilary Clinton Policy Papers, Hilary Clinton's Suggestions for Democratic Platform, Hillary C, Hillary Clinton Campaign Platform, Hillary Clinton Election Platform, Hillary Clinton Tax Policy, How to Save the American Dream, Its Saving the American Dream Stupid, New Deal, Occup Earth Manifesto by Robert Sheppard, Occupy Earth Manifesto in Spiritus Mundi Novel, Reforms to Save the American Dream, Revival of Union Movement, Robin Hood Tax, Sanders Suggestions for Democratic Platform, Saving the American Dream, Saving the Middle Class, Saving the Working Class in America, Spiritus Mundi Novel by Robert Sheppard, Technological Change, The 1%, The 99%, Tobin Tax, United Nations Parliamentary Assembly, Wealth Tax, Wealth Tax Bernie Sanders, Wealth Tax Donald Trump. Bookmark the permalink. 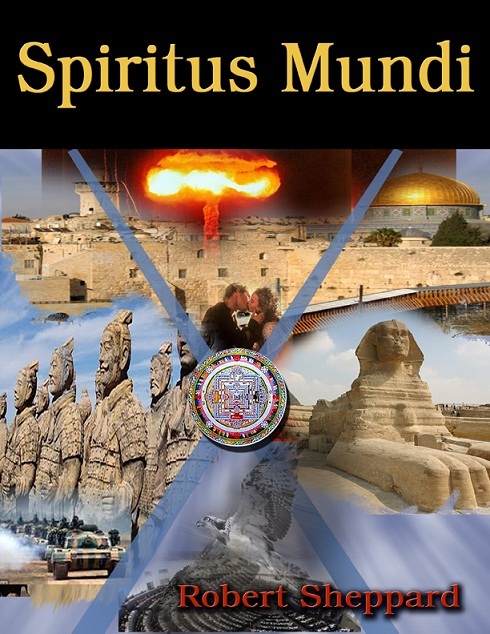 BUY SPIRITUS MUNDI BOOK I BY ROBERT SHEPPARD NOW! BUY SPIRITUS MUNDI BOOK II: THE ROMANCE BY ROBERT SHEPPARD ONLINE NOW! BUY SPIRITUS MUNDI BOOK I FOR NOOK AT B&N NOW! BUY SPIRITUS MUNDI BOOK II FOR iPAD ON APPLE iTUNES NOW! BUY SPIRITUS MUNDI BOOK II FOR NOOK AT B&N NOW! BUY SPIRITUS MUNDI BOOK II: THE ROMANCE NOW! Share book reviews and ratings with World Literature Forum, and even join a book club on Goodreads. IT’S SAVING THE AMERICAN DREAM, STUPID! WILL WWIII RESULT FROM A RUSSIAN INVASION OF THE UKRAINE, A JOINT RUSSIAN-CHINESE OCCUPATION OF NORTH KOREA FOLLOWING A US ATTACK, OR A JOINT RUSSIAN-IRANIAN-CHINA SNEAK ATTACK ON THE MIDDLE-EAST OIL RESERVES?——FIND OUT IN THRILLER NOVEL SPIRITUS MUNDI!—MI6′S NEW SUPERSPY ETIENNE DEARLOVE IS THE NEW JAMES BOND!——-FREE!——-GET THE SNOWDEN-CLANCY-ORWELLIAN CYBERSPY THRILLER NOVEL THAT DEFINES OUR ERA!—-NSA/CIA/MI6/WWIII CYBERTHRILLER EPIC SPIRITUS MUNDI BY ROBERT SHEPPARD FREE TO YOU DURING THE PUSHCART PRIZE GIVEAWAY CELEBRATION! Hot Hollywood Rumor: Obama to Make Cameo in New Futurist Adventure Movie! No Comment from White House on Obama in Movie! Obama in Movie: No Comment! President Obama to Make Cameo Appearance in New Futurist Adventure Movie! White House No Comment on Obama Movie Appearance! A continuación gran causa Arjun Rampal es! A continuación gran causa de Dustin Hoffman! A continuación Papel Big Boy George! Abol खालिद खालिद है नगा अगली बड़ी फिल्म! Abol है नगा बिग इंटरनेशनल तोड़ दो! Abol Naga Big Uluslararası Break! actrices latinas de Hollywood Big Break! actrices latinas en la nueva película grande ! Alice Braga Gelecek Büyük Film! Alice Braga Gelecek Büyük Nedeni! Alice Braga Gelecek Büyük Rolü! Amad al Fishawi Big Hollywood Break! Amad al Fishawi’s Big Hollywood Break! Amad Ezz Big Hollywood Break! Amad Ezz Big Uluslararası Break! Amad Ezz’s Big International Break! Angelina Jolie'nin Next Big Neden Obama! Arjun Rampal Big Hollywood Break! Arjun Rampal Big Uluslararası Break! Arjun Rampal Gelecek Büyük Film! Arjun Rampal Gelecek Büyük Nedeni! Arjun Rampal Gelecek Büyük Rolü! Arjun Rampal’s Big Hollywood Break! Arjun Rampal’s Big International Break! Arjun Rampal’s Next Big Cause! Arjun Rampal’s Next Big Movie! Arjun Rampal’s Next Big Role! अमाद अल Fishawi बिग हॉलीवुड तोड़ दो! अमाद है Ezz बिग हॉलीवुड तोड़! अमाद है Ezz बिग इंटरनेशनल तोड़ दो! अर्जुन रामपाल अगला बड़ा कारण! अर्जुन रामपाल अगली बड़ी फिल्म! अर्जुन रामपाल अगली बड़ी भूमिका! अर्जुन रामपाल बिग हॉलीवुड तोड़! अर्जुन रामपाल बिग इंटरनेशनल तोड़ दो! इवाना है Baquero अगला बड़ा कारण! इवाना है Baquero अगली बड़ी फिल्म! इवाना है Baquero अगली बड़ी भूमिका! इवाना है Baquero बिग हॉलीवुड तोड़ दो! ईवा है Longoria अगला बड़ा कारण! ईवा है Longoria अगला बड़ा कारण! ईवा है Longoria अगली बड़ी फिल्म! ईवा है Longoria अगली बड़ी फिल्म! ईवा है Longoria अगली बड़ी भूमिका! ऐलिस Braga अगला बड़ा कारण! ऐलिस Braga अगला बड़ा कारण! ऐलिस Braga अगली बड़ी फिल्म! ऐलिस Braga अगली बड़ी फिल्म! ऐलिस Braga अगली बड़ी भूमिका! क्रिस्टीना है Aquilera अगला बड़ा कारण! क्रिस्टीना है Aquilera अगली बड़ी फिल्म! क्रिस्टीना है Aquilera बिग हॉलीवुड तोड़ दो! गोविंदा की अगली बड़ी कारण! गोविंदा की अगली बड़ी फिल्म! गोविंदा की अगली बड़ी भूमिका! गोविंदा बिग हॉलीवुड तोड़! गोविंदा बिग इंटरनेशनल तोड़ दो! जेनिफर लोपेज बिग नई भूमिका! जेनिफर लोपेज बिग नई मूवी! जेनिफर लोपेज बिग हॉलीवुड तोड़ दो! जेनिफर लोपेज है बिग नया कारण! टिम करी अगला बड़ा कारण! टिम करी अगली बड़ी फिल्म! टिम करी अगली बड़ी भूमिका! टिम है करी अगला बड़ा कारण! टॉम हैंक्स 'अगला बड़ा कारण! टॉम हैंक्स 'अगली बड़ी फिल्म! टॉम हैंक्स ‘अगला बड़ा कारण! टॉम हैंक्स ‘अगली बड़ी फिल्म! टॉम हैंक्स का अगला बड़ा रोल! टॉम हैंक्स का अगला बिग कारण! टॉम हैंक्स' अगली बड़ी भूमिका! टॉम हैंक्स’ अगली बड़ी भूमिका! डस्टिन है हॉफमैन अगला बड़ा कारण! डस्टिन है हॉफमैन अगली बड़ी फिल्म! डस्टिन है हॉफमैन अगली बड़ी भूमिका! डस्टिन है हॉफमैन अगला बड़ा कारण! नई भविष्यवादी में संभावित ओबामा कैमिया ओवर अफवाह जंगली मिल साहसिक मूवी! नोंग है Toom अगला बड़ा कारण! नोंग है Toom अगली बड़ी फिल्म! नोंग है Toom अगली बड़ी भूमिका! नोंग है Toom बिग हॉलीवुड तोड़ दो! ब्वॉय जॉर्ज अगला बड़ा कारण! ब्वॉय जॉर्ज अगली बड़ी फिल्म! ब्वॉय जॉर्ज अगली बड़ी परियोजना! ब्वॉय जॉर्ज अगली बड़ी फिल्म! ब्वॉय जॉर्ज अगली बड़ी भूमिका! रंजीत चौधरी अगला बड़ा कारण! रंजीत चौधरी अगला बिग मूवी! रंजीत चौधरी अगली बड़ी फिल्म! रंजीत चौधरी अगली बड़ी भूमिका! राजकुमार की अगली बड़ी फिल्म! राजकुमार की अगली बड़ी भूमिका! रॉबिन ईआइ अगली बड़ी फिल्म! रॉबिन विलियम्स 'अगला बड़ा कारण! रॉबिन विलियम्स ‘अगला बड़ा कारण! रॉबिन विलियम्स' अगली बड़ी फिल्म! रॉबिन विलियम्स’ अगली बड़ी फिल्म! रोमांचक क्रिस्टीना है Aquilera बिग हॉलीवुड तोड़ दो! लड़का जॉर्ज अगली बड़ी भूमिका! लातीनी अभिनेत्रियां बड़ी हॉलीवुड तोड़ दो! लैटिना में अभिनेत्रियां बिग नई मूवी! शकीरा बड़ी हॉलीवुड तोड़ दो! शाहरुख खान की अगली बड़ी वाद! शाहरुख खान बिग हॉलीवुड तोड़ दो! शाहरुख खान बिग इंटरनेशनल तोड़ दो! सुनील शेट्टी की अगली बड़ी वाद! सुनील शेट्टी बिग इंटरनेशनल तोड़ दो! सुनील NovelsX शेट्टी बिग हॉलीवुड तोड़ दो! सोफिया है Vergara बिग नई भूमिका! सोफिया है Vergara बिग नई मूवी! सोफिया है Vergara बिग नया कारण! Başkan Obama'nın Yeni Fütürist Macera Film içinde Cameo Görünüm olun! Big Break Amad al Fishawi de Hollywood! Big Break Arjun Rampal es Hollywood! Big Break Govinda es Hollywood! Big Break Internacional Amad Ezz es! Big Break Internacional Arjun Rampal es! Big Break Internacional de Govinda! Big Break Internacional Hrithk Roshan! Big Break Internacional Sunil Shetty! Big Break Ivana Baquero en Hollywood! Big Break Jennifer Lopez Hollywood! Big Break Shah Rukh Khan es Hollywood! Big Break Sofía Vergara en Hollywood! Big Christina Aguilera en Hollywood descanso! Big Hrithk Roshan Quiebre de Hollywood! Big Movie Nueva Selina Gomez! Big nueva causa de Jennifer Lopez! Big nueva causa Selina Gomez! Big nueva causa Sofia Vergara! Big nueva película de Jennifer López! Big nueva película de Sofía Vergara! Big nuevo papel de Jennifer Lopez! Big nuevo papel de Selina Gomez! Big nuevo papel de Sofía Vergara! Big Yeni Film de Latina Aktrisleri ! Boy George Gelecek Büyük Rolü! Boy George Next Big Movie! Boy George Next Big Neden! Boy George Next Big Projesi! Boy George's Next Big Cause! Boy George's Next Big Movie! Boy George's Next Big Project! Boy George's Next Big Role! Christina Aquilera Big Hollywood Break! Christina Aquilera Gelecek Büyük Film! Christina Aquilera Gelecek Büyük Nedeni! Christina Aquilera Gelecek Büyük Rolü! Cillian मर्फी अगला बड़ा कारण! Cillian मर्फी की अगली बड़ी फिल्म! Cillian मर्फी की अगली बड़ी भूमिका! Cillian मर्फी है अगला बड़ा कारण! Cillian Murphy Causa más próxima! Cillian Murphy Gelecek Büyük Rolü! Cillian Murphy Next Big Movie! Cillian Murphy Next Big Neden! Cillian Murphy Sonraki Big Neden! Cillian Murphy's Next Big Cause! Cillian Murphy's Next Big Movie! Cillian Murphy's Next Big Role! Dustin Hoffman Gelecek Büyük Rolü! Dustin Hoffman's Next Big Cause! Dustin Hoffman's Next Big Movie! Dustin Hoffman's Next Big Role! Dustin Hoffman'ın Next Big Movie! Dustin Hoffman'ın Next Big Neden! el Big Break Amad Ezz de Hollywood! el presidente Obama a hacer aparición en la película nueva aventura futurista! el presidente Obama en la nueva película de Aventura futurista! Eva Longoria Gelecek Büyük Film! Eva Longoria Gelecek Büyük Nedeni! Eva Longoria Gelecek Büyük Rolü! 金 宣 儿 新 电影! Film Obama'ya Beyaz Saray Yorum Yok! George de Fresne's Next Big Cause! George de Fresne's Next Big Movie! George de Fresne's Next Big Role! Govinda es más próxima Causa! gran oportunidad de Jennifer López Hollywood! gran oportunidad de Nong Toom Hollywood! gran oportunidad de Shakira Hollywood! Hollywood Rumor of Obama’s Cameo in Hot New Futurist Adventure Movie Denied! Hrithk रोशन की बड़ी हॉलीवुड तोड़ दो! Hrithk रोशन बिग इंटरनेशनल तोड़ दो! Hrithk Roshan Big Hollywood Break! Hrithk Roshan Big Uluslararası Break! Hrithk Roshan’s Big Hollywood Break! Hrithk Roshan’s Big International Break! Ivana Baquero Big Hollywood Break! Ivana Baquero El papel más próxima! Ivana Baquero Gelecek Büyük Film! Ivana Baquero Gelecek Büyük Nedeni! Ivana Baquero Gelecek Büyük Rolü! Jennifer López Causa gran Nuevo! Jennifer Lopez Big Yeni Film! Jennifer Lopez Big Yeni Neden! Jennifer Lopez Big Yeni Rol! Jennifer Lopez'in Büyük Hollywood Break! Jennifer Lopez'in Büyük Yeni Neden! Khaled Abol Naga’s Big Hollywood Break! Khaled Abol Siguiente La gran película de Naga! Khaled Big Break Abol Naga Hollywood! Khaled Big Break Internacional Abol Naga! la campaña activista siguiente Orlando Bloom! la próxima película de Big Boy George! la próxima película de Big Tim Curry! la próxima película de gran Dustin Hoffman! Latina actrices de Big Movie Nuevo! Latina Aktrisler Büyük Hollywood Break! Latina içinde oyuncu Big Yeni Film! Mariah है केरी अगला बड़ा कारण! Mariah है केरी अगली बड़ी भूमिका! Mariah Carey Gelecek Büyük Nedeni! Mariah Carey Gelecek Büyük Rolü! Miku An Cafe Big Hollywood Break! Miku An Cafe Gelecek Büyük Film! Miku An Cafe Gelecek Büyük Nedeni! Miku An Cafe Gelecek Büyük Rolü! Miku An Cafe's Big Hollywood Break! Miku An Cafe's Next Big Cause! Miku An Cafe's Next Big Movie! Miku An Cafe's Next Big Role! Miku किसी कैफे अगला बड़ा कारण! Miku किसी कैफे अगला बड़ा कारण! Miku एक है कैफे अगली बड़ी फिल्म! Miku किसी कैफे अगली बड़ी फिल्म! Miku किसी कैफे अगली बड़ी भूमिका! Miku किसी कैफे बिग हॉलीवुड तोड़ दो! Miku Big Break An Cafe en Hollywood! Miku de An Cafe Causa Next Big! Miku de An Cafe papel importante Siguiente! Miku de An Cafe película más próxima! Miku gran oportunidad de An Cafe de Hollywood! Next Big Movie Arjun Rampal es! Next Causa Big Boy George! Next Causa Big Tim Curry! Next gran causa Alice Braga! Next gran papel de Dustin Hoffman! Next gran película de Christina Aguilera es! Next papel importante Arjun Rampal es! Next papel importante Tim Curry! Next Ranjit Chowdhry La gran película! No Comentario de la Casa Blanca a Obama en la película! No Comment on Obama in Movie! No Confirmation of Hollywood Rumor of Obama’s Cameo Appearance in Futurist Adventure Flick! no hay confirmación de rumores de Hollywood de la breve aparición de Obama en Flick futurista aventura! no hizo comentarios sobre Obama en la película! no La confirmación de rumores de Hollywood de la breve aparición de Obama en el futurista Flick Adventure! Nong Toom अगले बिग रोल! Nong Toom Big Hollywood Break! Nong Toom causa más próxima! Nong Toom Gelecek Büyük Film! Nong Toom Gelecek Büyük Nedeni! Nong Toom Gelecek Büyük Rol! Nong Toom Gelecek Büyük Rolü! Nong Toom la próxima gran papel! Nong Toom papel importante Siguiente! Nong Toom película más próxima! Nong Toom's Big Hollywood Break! Nong Toom's Next Big Cause! Nong Toom's Next Big Movie! Nong Toom's Next Big Role! Officials Deny Obama's Date for Obama's Cameo in New Futurist Adventure Movie! Officials Deny Obama’s Date for Obama’s Cameo in New Futurist Adventure Movie! próxima gran causa Cillian Murphy! próxima gran película de Robin de la IE! próximo proyecto de Big Boy George! Prensa Carreras para confirmar el rumor de Hollywood de la breve aparición de Obama en la película futurista aventura! Prensa Carreras para confirmar rumores de Hollywood de la breve aparición de Obama en la película futurista aventura! Prensa Gaga sobre rumores de aparición de Lady Gaga con Cameo del presidente Obama en la nueva película de Aventura futurista! President Obama in New Futurist Adventure Movie! Press Gaga over Rumor of Lady Gaga's Appearance with President Obama's Cameo in New Futurist Adventure Flick! Press Gaga over Rumor of Lady Gaga’s Appearance with President Obama’s Cameo in New Futurist Adventure Flick! Press Races to Confirm Hollywood Rumor of Obama's Cameo Appearance in Futurist Adventure Movie! Press Races to Confirm Hollywood Rumor of Obama’s Cameo Appearance in Futurist Adventure Movie! Prince'in Next Big Movie! Prens Gelecek Büyük Rolü! Ranjit Chowdhry Gelecek Büyük Film! Ranjit Chowdhry Gelecek Büyük Nedeni! Ranjit Chowdhry Gelecek Büyük Rolü! Ranjit Chowdhry's Next Big Cause! Ranjit Chowdhry's Next Big Movie! Ranjit Chowdhry's Next Big Role! Robin Ei Gelecek Büyük Film! Robin Williams 'Next Big Film! Robin Williams 'Next Big Neden! Robin Williams 'Next Big Rolü! Robin Williams Película más próxima! Robin Williams siguiente gran causa! Robin Williams siguiente gran papel! Robin Williams' Sonraki Big Film! Rumor de cameo de Obama en la película futurista Próximos! Rumor de cameo de Obama en las próximas futurista película! Rumor Mill salvaje sobre posibles Cameo Obama en Nueva futurista película de aventuras! Rumor Mill Wild Over Possible Obama Cameo in New Futurist Adventure Movie! Rumor of Obama’s Cameo Appearance in Upcoming Futurist Movie! rumores de Hollywood de Cameo de Obama en caliente de película nueva aventura futurista denegado! rumores Run Wild Más Cameo Posible película de Obama en Flick futurista aventura! rumores Run Wild sobre los posibles Obama Película Cameo en Flick futurista aventura! rumores salvajes sobre posibles Cameo Obama en la nueva película de Aventura futurista! Rumors Fütürist Macera Flick Olası Obama Film Cameo fazla Wild çalıştırın! Rumors Run Wild Over Possible Obama Movie Cameo in Futurist Adventure Flick! Selina है गोमेज़ बिग नई भूमिका! Selina है गोमेज़ बिग नई मूवी! Selina है गोमेज़ बिग नया कारण! Selina है गोमेज़ बिग नया कारण! Selina है गोमेज़ बिग नई मूवी! Selina Gomez Big Yeni Film! Selina Gomez Big Yeni Neden! Selina Gomez Big Yeni Rol! Shah Rukh Big Break Internacional Khan! Shah Rukh Han'ın Büyük Uluslararası Break! Shah Rukh Khan’s Big Hollywood Break! Shah Rukh Khan’s Big International Break! Shah Rukh Khan’s Next Big Cause! Shah Rukh Khan’s Next Big Movie! Shah Rukh Khan’s Next Big Role! Shahrukh Khan Big Hollywood Break! Shahrukh Khan Next Big Neden! Siguiente Causa Big Boy George! siguiente gran causa Alice Braga! siguiente gran causa Christina Aguilera es! siguiente gran causa de Dustin Hoffman! siguiente gran causa de Eva Longoria! siguiente gran causa de Mariah Carey! siguiente gran causa de príncipe! siguiente gran causa de Shakira! siguiente gran causa Ivana Baquero! siguiente gran causa Ranjit Chowdhry! siguiente gran causa Shah Rukh Khan! siguiente gran causa Sunil Shetty! siguiente gran papel Alice Braga! siguiente gran papel Christina Aguilera es! siguiente gran papel Cillian Murphy! siguiente gran papel de Dustin Hoffman! siguiente gran papel de Eva Longoria! siguiente gran papel de Govinda! siguiente gran papel de Mariah Carey! siguiente gran papel de príncipe! siguiente gran papel de Shakira! siguiente gran papel de Tom Hanks! siguiente gran papel Ivana Baquero! siguiente gran papel Ranjit Chowdhry! siguiente gran papel Sunil Shetty! siguiente gran película de Alice Braga! siguiente gran película de Cillian Murphy! siguiente gran película de Dustin Hoffman! siguiente gran película de Eva Longoria! siguiente gran película de Govinda! siguiente gran película de Ivana Baquero! siguiente gran película de Prince! siguiente gran película de Ranjit Chowdhry! siguiente gran película de Shakira! siguiente gran película de Sunil Shetty! Siguiente Papel Big Boy George! Siguiente Tom Hanks Porque grande! Sofia Vergara Big Hollywood Break! Sofia Vergara Big Yeni Film! Sofia Vergara Big Yeni Neden! Sofia Vergara Big Yeni Rol! Sunil Shetty Big Hollywood Break! Sunil Shetty Big Uluslararası Break! Sunil Shetty Gelecek Büyük Film! Sunil Shetty Gelecek Büyük Nedeni! Sunil Shetty Gelecek Büyük Rolü! Sunil Shetty grandes de Hollywood Break! Sunil Shetty’s Big Hollywood Break! Sunil Shetty’s Big International Break! Sunil Shetty’s Next Big Cause! Sunil Shetty’s Next Big Movie! Sunil Shetty’s Next Big Role! Tenoch Huerta's Next Big Role! Tim A continuación gran causa de Curry! Tim Curry Gelecek Büyük Film! Tim Curry Gelecek Büyük Nedeni! Tim Curry Gelecek Büyük Rolü! Tom Hanks 'Next Big Film! Tom Hanks 'Next Big Neden! Tom Hanks 'İleri'yi Büyük Nedeni! Tom Hanks siguiente gran papel! "Siguiente Gran Causa! Tom Hanks siguiente gran película! Tom Hanks' Next Big Cause! Tom Hanks' Next Big Movie! Tom Hanks' Next Big Rolü! Tom Hanks' Next Big Role! Yeni Fütürist Macera Flick Başkan Obama'nın Cameo ile Lady Gaga en Görünüş Söylenti üzerine basın Gaga! Yeni Fütürist Olası Obama Cameo fazla Wild Söylenti Mill Macera Filmi! yok Obama'nın Cameo Görünüm Hollywood Söylenti teyidi Fütürist Macera Flick! 北 川 景 子 新 电影!